There are very few sights that can strike my heart more that witnessing the beauty that the sun casts across the sky when it rises or sets. The multiple colors that fill the sky glazing over the various clouds can take my breath away. Often times as I peer out the back window of our house at a sunset, it seems to stop time. In those moments, I am often reminded that the beauty of the sunrise or sunset cannot compare to the beauty of our God. He is the one who, like an artist, effortlessly wiped his brush across the sky allowing sinful men and women to witness His unique masterpiece. Although these sights are filled with beauty, the rising of the sun and its setting only serves as a shadow to the greatness of our God. In Psalm 113, the psalmist exhorts the people of God to praise the LORD five times in nine verses. The word praise connotes extending honor, commendation, and worship. The call upon the life of a believer to praise the LORD is not a call that is filtered down to one hour a week or even one day a week that is set apart. 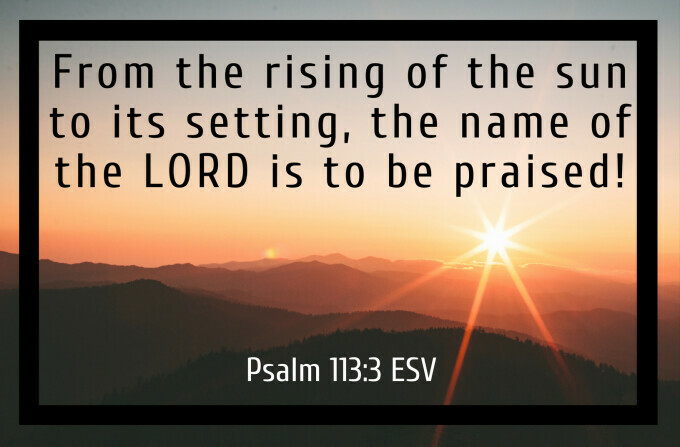 No, the psalmist exclaims in verse 3, “from the rising of the sun to its setting, the name of the LORD is to be praised!” For the believer, this is a call to praise the LORD every waking moment because He and He alone is worthy of our adoration and affection. The psalmist continues in verse 4 to expound upon and ponder the truth that “the LORD is high above the nations, and His glory above the heavens.” This leads him to question in verse 5, “Who is like the the LORD our God?” Then, the psalmist explains the work of this awesome God as he writes, “He raises the poor from the dust and lifts the needy from the ash heap, to make them sit with princes and with the princes of His people” (v. 7-8). These verses are the epitome and description of grace! The undeserved inheriting what they do not deserve. The needy, broken, and dirty are provided for, fixed, and cleaned. Though the LORD God is seated on high, He looks down upon the lowly. 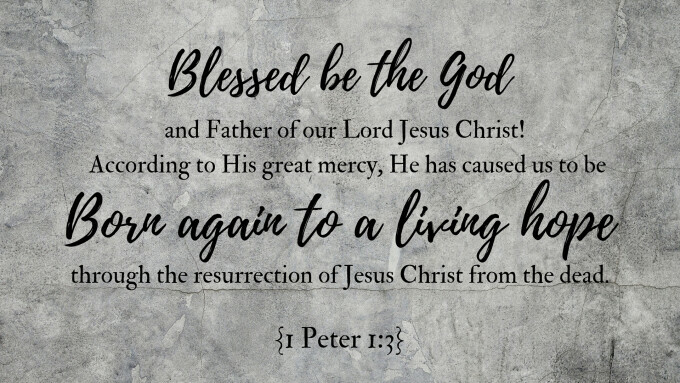 In Christ Jesus, we see not only that God looked upon the lowly, but that this majestic God became one of the lowly (see Philippians 2:1-11). Jesus, the God-Man in taking on human flesh, He headed to a cross to atone for the sins of the poor in spirit. And in so doing he ensured that every tongue would confess that He is Lord, to the glory of God the Father. This sight strikes our hearts as we see the beauty of our salvation. Our response? Praise the name of Lord! When? From the rising of the sun to its setting!